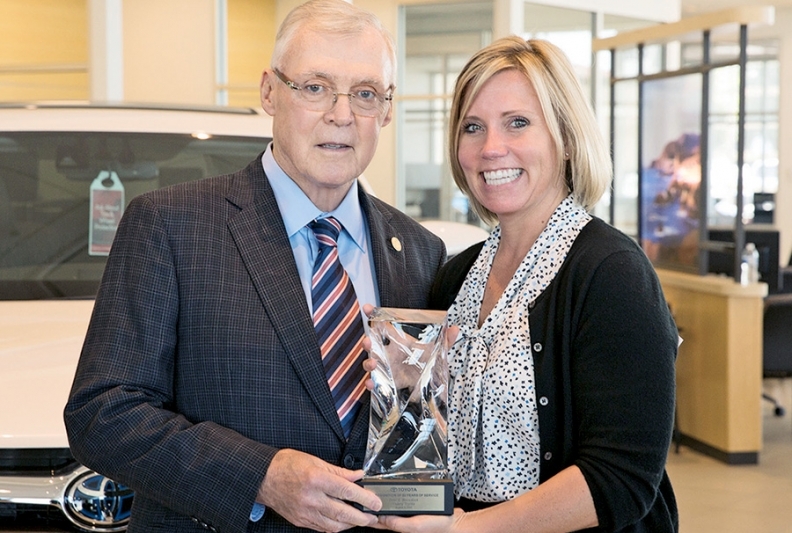 Peter Blackstock, dealer principal of Victory Toyota in Seaside, Calif., receives a 50-year award from Briana Nelson, assistant general manager of Toyota Motor Sales U.S.A.'s San Francisco region. 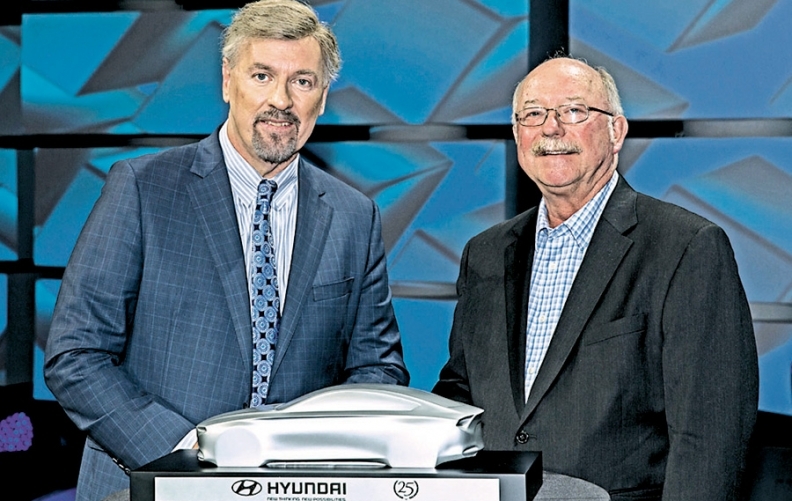 Gary Knight, right, principal owner of Carmack Hyundai in Danville, Ill., receives a 25-year award from Dave Zuchowski, CEO of Hyundai Motor America. 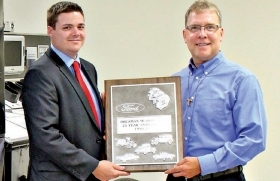 Joe Breaman, right, of Breaman Merrill Ford in Merrill, Wis., receives a 25-year award from Will Krill, Ford Motor Co.'s Chicago region market representation manager. 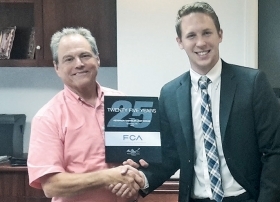 Pete Peterson, left, dealer principal at Peterson Chrysler-Dodge-Jeep-Ram in Lumberton, N.C., receives a 25-year award for Jeep from Connor Spence, Fiat Chrysler's eastern Carolina sales area manager.